Is there any paperwork or document for the mechanical systems of 279 Kingston Rd E, Ajax, Ontario? I need more information about the property at 279 Kingston Rd E, Ajax, Ontario. How ist the neighborhood, location and nearby amenities for 279 Kingston Rd E, Ajax, Ontario? I have questions about the roof, foundation, insulations and mechanical issues of 279 Kingston Rd E, Ajax, Ontario? I need more information about property details. What's wrong with this house? Is this a short sale? Is there any maintenance for 279 Kingston Rd E, Ajax, Ontario? What is this property worth in today's market? What are "closing costs", and how much? What steps should I take when looking for a home loan? What price home can I afford? Is my credit good enough to buy this house? What are the best mortgage options for me? How flexible is the seller on the asking price? How low can I consider offering for 279 Kingston Rd E, Ajax, Ontario? Busy New "Whitetail Centre". 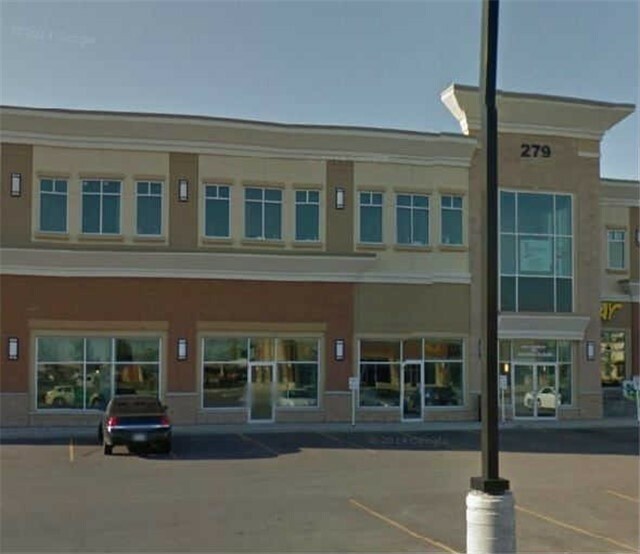 Great Location On Major Commercial Corridor Minutes To The 401. Permitted Uses Include, Retail,Offices, Medical Clinic, Commercial School,Self Serve Laundromat. Existing Tenant Mix Consists Of Shoppers Drug Mart, Shoeless Joes, Dentists, Jewellery Store, Subway Nail Spa,Hair Salon,South Burger,Tutor, Fitness Ctr, Credit Union, Family Doctors, Rehab. Surrounded By Existing & New Residential Development. Surrounded By Retail (Target & Costco) Across The Street .